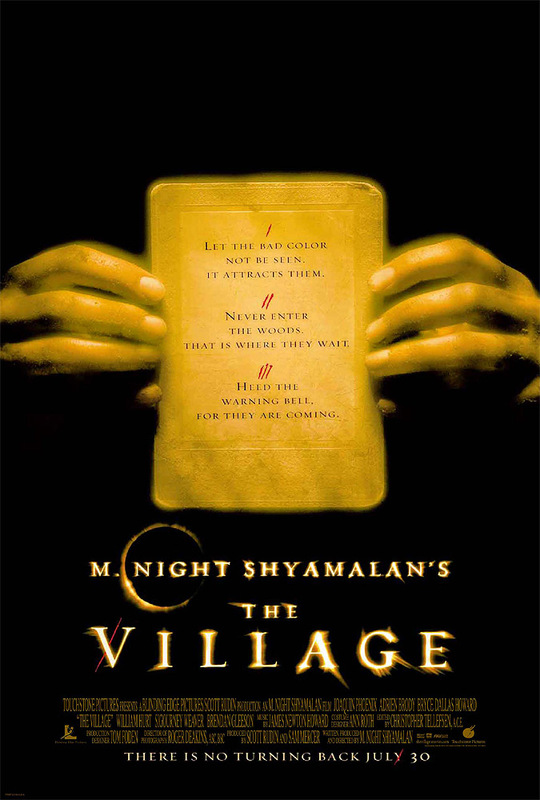 The Village is a hard movie to review because you really don’t want to spoil the experience for the viewer. The Village is about a small village surrounded by the woods. The people of the village raise livestock and talk in a strange flowery sort of manner. The woods are inhabited by some sort of creature that scares the living daylights out of the village inhabitants. The question is, what are these creatures and how did the villager’s get there in the first place? The characters are interesting—There’s Lucius Hunt (played by Joaquin Phoenix), a young man of few words who seems braver than most, Ivy Walker (played by Bryce Dallas Howard) who is blind and talks non-stop, Noah Percy (played by Adrian Brody) who is autistic or retarded or something. William Hurt plays Edward Walker, who seems like the head of the town (though it run by a council of “elders”). These characters are all very well done and very likable—the actors really breath life into them. This movie is very scary. I was cringing in my seat on numerous occasions. The creatures from the woods are extremely well done and somehow conjure fear from the very first time you see them and they never become not scary. The nice thing was that even though I knew it was going to have some sort of twist (being an M. Night Shyamalan movie), I wasn’t able to guess what it was (though I had some suspicions that turned out to be correct for part of it). This movie kept me on the edge of my seat, made me like the characters, entertained me, tricked me with the twist, and generally made me come away feeling great. What more could you ask for?